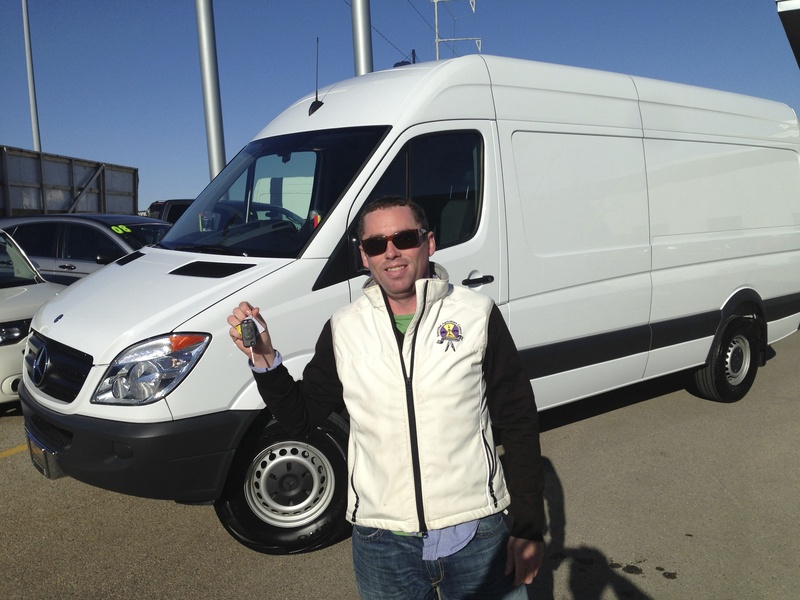 We officially picked up the keys for our Mercedes Sprinter cargo van on Monday, April 1st, 2013. 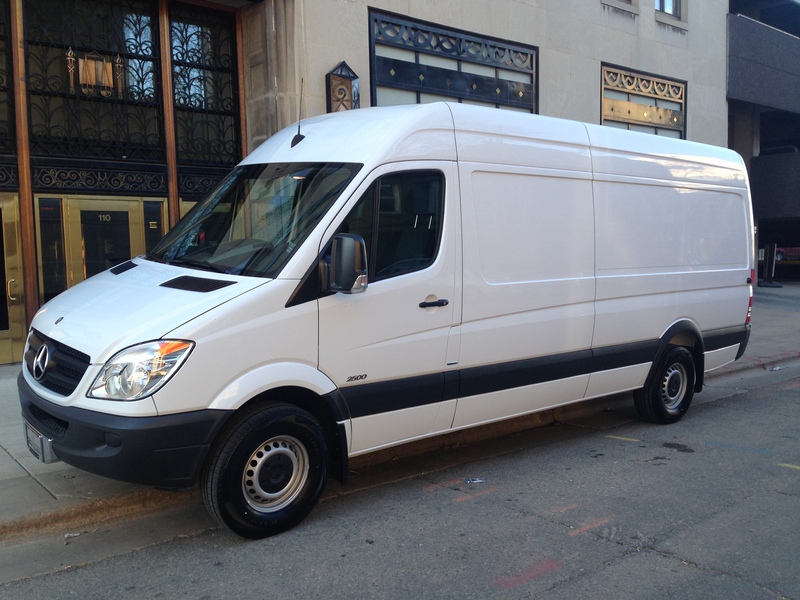 Initial impressions are that this is a BIG vehicle, and it’s actually one size smaller than we were originally anticipating since all the 2012 extended 2500 high ceiling vans with a 170″ (for all you techies) were already sold. Going with a 2012 saved some money over a 2013 that’s basically the same vehicle. We decided to buy a new vehicle since the used ones aren’t really much cheaper, at least for one in good quality, and we plan to put lots of miles on in the course of driving around the region. 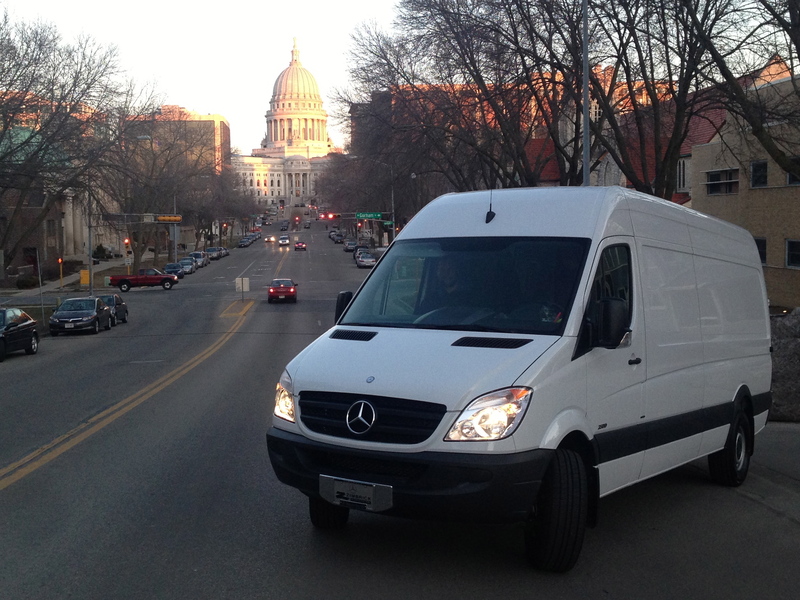 Driving the van for the first time was great, except it was hard not to think about how valuable good graphics will be for advertising. 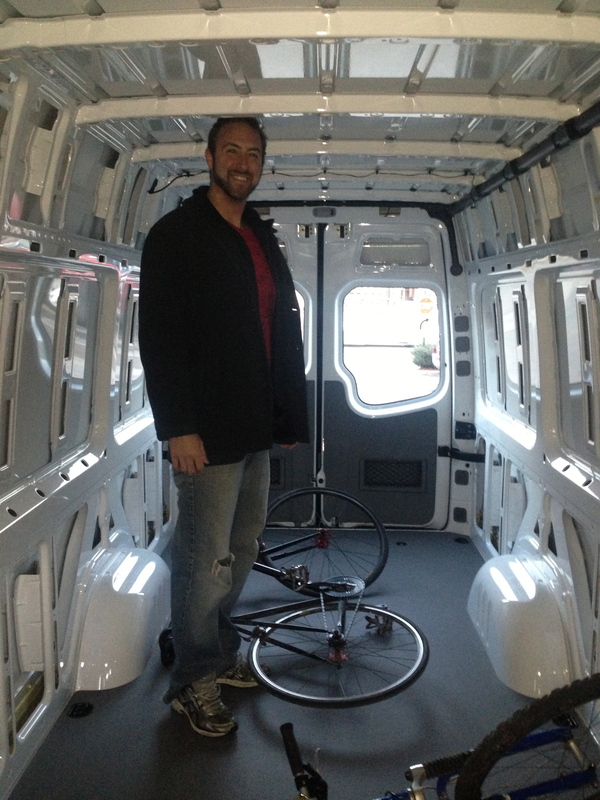 Essentially, the van will be a moving billboard, helping to draw attention to the project. The graphic below will soon adorn the sides, and we’re planning to feature Tribal logos on the back windows to highlight all the great partners. The van’s high ceilings will provide flexibility to carry an assortment of products, in addition to comfortably moving in the vehicle. A Madison friend of the project who is over 6’6″ was able to comfortably stand inside. While the Madison, WI market is not a primary target of the grant, it may provide a great opportunity to help build awareness for Tribal food products like wild rice that are threatened by a variety of ecologically damaging land use practices, and it could also help generate sufficient revenue necessary to economic self-sufficiency, so options for serving this market are currently under exploration. Other urban markets, especially those with large native populations like Minneapolis-St. Paul, Milwaukee, and Chicago, are also being explored.